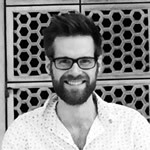 Paul Meller has worked at the ESRC for over six years in a number of roles in the training and longitudinal studies teams and is currently the Head of Data and Resources. Before joining the ESRC Paul completed a doctorate in history at Durham University. Like the millions of other people who rushed to see it last year, I loved The Imitation Game. Apart from the star turn of the infallible Benedict Cumberbatch, it was a fantastic human story and overdue celebration of Turing’s remarkable achievements. Clearly what I also loved (and I would say this as an employee of the Research Councils!) was that this was also a story focused on the power of channelling highly theoretical research and knowledge into a practical application. When Alan Turing started work at Bletchley Park he was faced with a very real world problem – designing a machine that would decipher Enigma and thereby shorten the Second World War. It’s in this context then that I’ve been looking at the recently established Alan Turing Institute (ATI) – which officially launches tomorrow (11 November) – with great interest from the perspective of the social sciences. Social scientists have always been at the heart of researching and tackling real world problems – from economic growth and security, to climate change and migration. The challenges in some ways have not changed. What has changed is the scale and complexity of those challenges, and the range of skills, tools and methods needed to tackle them. Looking at this the other way, there are now so many more resources, technologies and techniques available to social scientists to answer pressing local, national and global questions. A big part of what the ESRC has been doing through its investment in data infrastructure has been to make the increasing range of data resources, services, methods and skills more accessible to more researchers. But even those resources are changing and expanding fast. New forms of data – such as those derived from online activities or from sensors – offer new opportunities as both objects and tools of analysis, but also come with big new technological and computational challenges. As more activities move into the digital domain, data science touches a greater segment of social and economic life and therefore the focus of social scientists’ attention. The ATI, first announced in March 2014, is a bold new investment in a national institute for data science in the UK in the heralded ‘Age of Algorithms’. The Institute will enable knowledge and predictions to be extracted from large-scale and diverse digital data to inform scientific and technological discoveries, create new business opportunities, accelerate solutions to global challenges and inform policy-making. As such it offers a new range of tools and methodologies for social scientists to add to their armoury, as well as a way for social scientists to share expertise and research questions with computer and mathematical scientists. There are therefore clear mutual benefits for social scientists, and a huge amount that can be gained from their participation. Questions around how people interact with data and technology, governance of the inputs and outputs, public engagement around the use of these resources, and issues around privacy and ethics, will all need the expertise and leadership of social scientists. The social sciences have also led the way in making data accessible and usable – something that has been at the heart of the ESRC’s investment in the UK Data Service and Big Data Network. Most importantly though, there is huge potential for social scientists to gain access to novel methodologies, data resources, infrastructure, and skills that will open up new research areas and the potential to transform the way in which different research questions are addressed. There are ready mechanisms to support this – for example, through hackathons, mentorships and co-supervision of doctoral students. There are undoubtedly established social science areas which are computationally demanding, such as simulation. But now we see the opportunities – and novel computational challenges – of new forms of data. This includes social media (you can follow ATI on Twitter) analytics, working with real time data (text, image and video) and conducting analyses and visualisations interactively. In the social sciences, as for other disciplines, we are set to benefit by revisiting established methods, for example in machine learning, which are set to come into their own with new data and infrastructure. Developing these algorithmic capabilities will benefit academia, business and government, and build skilled researchers for tomorrow’s data-intensive social science. What we need more of though are new great ideas from social scientists for research within and beyond these areas drawing on the infrastructure and capabilities that the ATI will create. The detail of the ATI Science and Innovation Strategy is being formulated and will be driven in part by the social scientists who step forward to engage with the ATI in imaginative and enthusiastic ways, building on the growing interaction of social, computer and mathematical scientists already in evidence. A range of summits and workshops covering topics from ‘data science for health’ and ‘data analysis for credit risk’ to ‘future cities’ and ‘data science for government and policy’ demonstrate the potential of the ATI both in terms of the relevance of social data and the involvement of social scientists. So what we want from the social science community is to think creatively about how their research could benefit from engagement with the ATI and to make their voices heard! There is no doubt that the data and research landscapes will continue to shift and throw up new challenges in the future. What engagement with the ATI does though is provide researchers, including social scientists, with new tools with which to tackle both current and future real world problems.